Home / Unlabelled / We are a nation of weak, indecisive onlookers and observers who cannot stand united to achieve anything! We are a nation of weak, indecisive onlookers and observers who cannot stand united to achieve anything! When our university students protested against the corrupt government, and got shot by rogue policemen, the nation sat back and watched saying "em samting blong ol sumatin". When policemen were shot and killed in the line of duty during the worst most corrupt elections ever, the nation looked on with disinterest and merely expressed passing sorrow and sympathy. Even comrades of the fallen men within RPNGC have not made any noise and to date, no one knows the status of these cases. 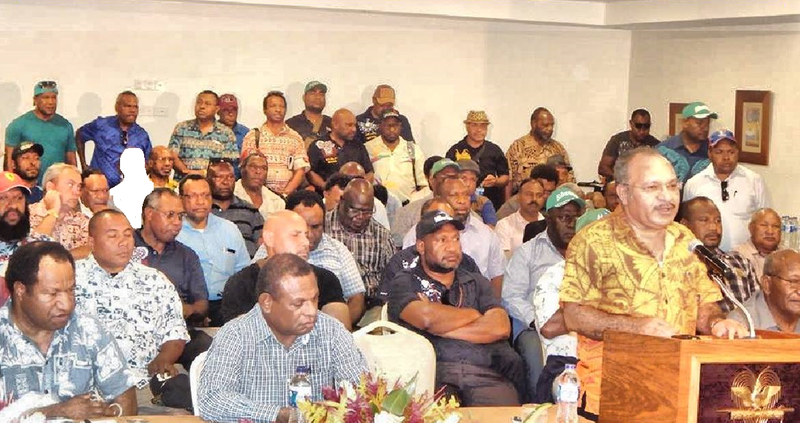 When Hela speaks up against the government and threathens to shut down LNG operations, they do it alone while the nation looks on with a shrug of the shoulders and again says with disinterest "samting blong Hela". Now that Southern Highlands have said enough is enough and are protesting because they were denied their democratic rights to elect their leaders in a free and fair election, the rest of the nation simply look on from a distance and again say "problem na hevi blong Southern Highlands". We all pretend as if we were never affected by the most corrupt election ever and that our lives are not being affected by corruption even right at this moment. We continue to remain silent instead of rising up in support of our brothers. Change will never come to this country because we are too timid to stand up and fight for anything. We are happy to sit back and allow one man and his corrupt government to walk all over us again and again. When will PNG rise up in unity and say enough is enough?? O'Neill feels so relaxed that he is happily taking some of the key Ministers and MPs he will need in the looming VONC on a taxpayer funded sight seeing luxury trip to China. He knows that the weak and timid Papua New Guineans and their equally weak and spineless leaders will not have the guts to say or do anything while he is away.